A trp file suffix is related to the EggPaint picture image format. 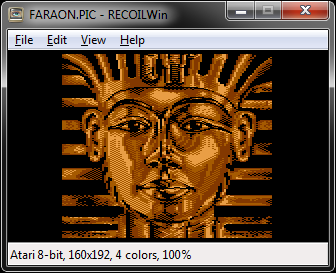 The trp file extension is associated with the EggPaint, a picture image editing tool for Atari Falcon, a 32-bit computer with TOS operating system. The trp file contains picture image from EggPaint (65536 colors). Use RECOIL to open *.trp files. Programs supporting the exension trp on the main platforms Windows, Mac, Linux or mobile. Click on the link to get more information about RECOIL for view trp file action.